Learn the easy way to compost from Joan Irwin, Marin Master Gardener. Turn your kitchen scraps and yard waste into black gold! IN CASE OF RAIN: If it is raining we will move the workshop inside the Fairfax Women’s Club, 46 Park Road, right next to the Peri Park Redwood stage. People have lots of questions regarding composting! * Have you wanted to know what can to do with table scraps? * Has composting been a mystery to you? * Do you want to know how compost can enrich your soil and benefit the environment? Join us to have these questions answered and more. Bio: Joan Irwin has been a Certified Master Gardener since 2003. She speaks frequently on Composting, Organic Gardening and Community Gardens. She has gardened in the Bay Area for 40 years. Joan has degrees from the University of Michigan and UC-Berkeley. She first learned to love gardening from her grandmother in Michigan. 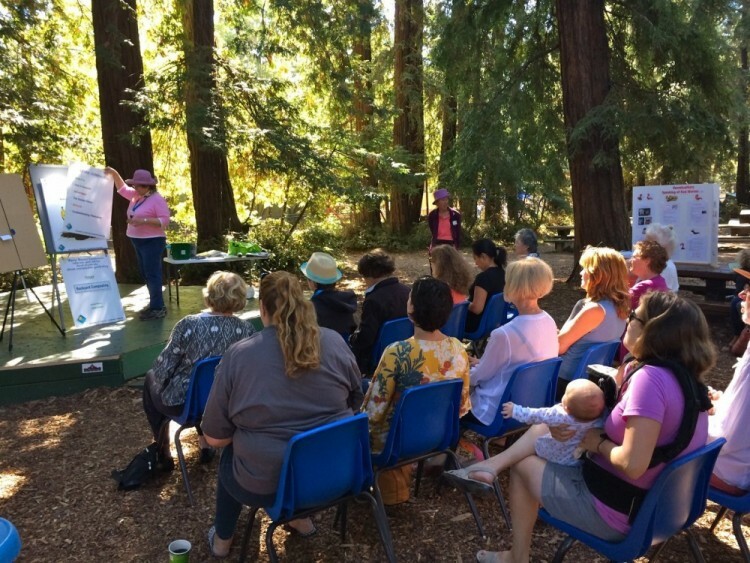 This workshop is dedicated to the memory of Marin Master Gardener Susan Garnett. Susan helped teach many of these classes for us over the years. We are grateful to her for always cheerfully sharing her gardening and composting wisdom, and will remember her fondly.